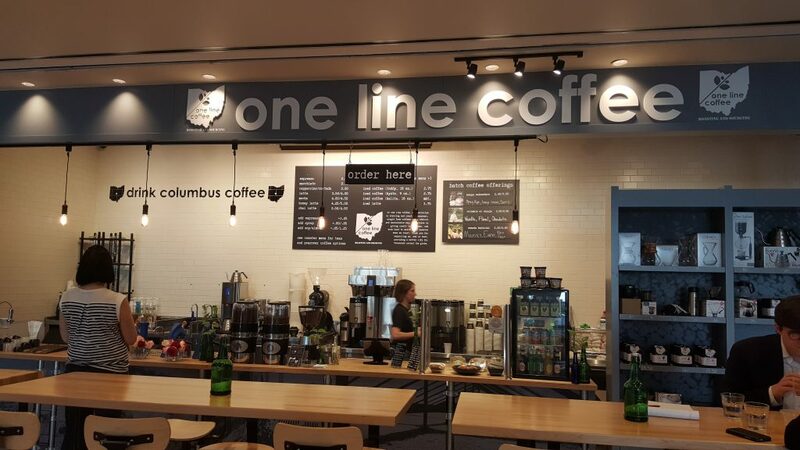 Our newest coffee bar has opened in downtown Columbus at Capitol Square! We are located in the first floor lobby area of the Huntington Center Building just to the rear of the escalators. We offer three of our origin coffees each morning using batch brews for those who need to grab their coffee and get to the office. Later in the day, customers can watch while we brew by the cup on the amazing Mod Bar pour-over bar… a beautiful and innovative machine that always presents a fresh-ground, fresh-brewed cup of the premium coffee of your choice! Enjoy espresso pulled from our new modbar espresso and steam modules…watch our baristas use that espresso to create beautiful art on a latte or cappuccino. We also offer a single origin chocolate from askinosie to sweeten up your beverage as well as a small a selection of signature espresso beverages…including the ever popular honey latte. Peruse our front display case and find one of our origin coffees to take home or to the office. You may have heard about our Kyoto Drip Towers which we use to brew some of the best cold drip coffee available…check those towers out in the area behind the coffee bar. Our front coffee bar always includes a wonderful selection of local baker options…from the folks at Destination Donuts, PattyCake Bakery, Mmelo Boutique Confections and Cherbourg Bakery. We also have a huge selection of home brewing equipment available at great prices and for tea lovers, a selection of 6-8 high end teas brewed at the perfect temperature, all of which a tea lover can embrace.